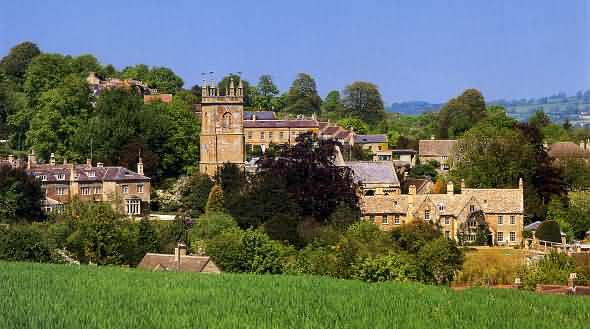 Blockley is a beautiful and a quiet village and perfectly located for walking through the Cotswold countryside and for touring by car the famous nearby Cotswold villages and towns. 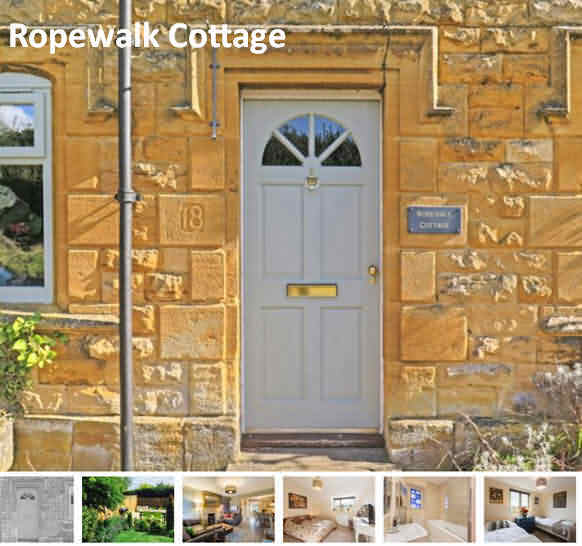 Ropewalk is a traditional cottage built from Cotswold stone and found at the heart of the charming and historic village of Blockley. A stay here means you’ll be enjoying areas of outstanding natural beauty that are perfect for hikers, foodies and those just looking to get away from it all! 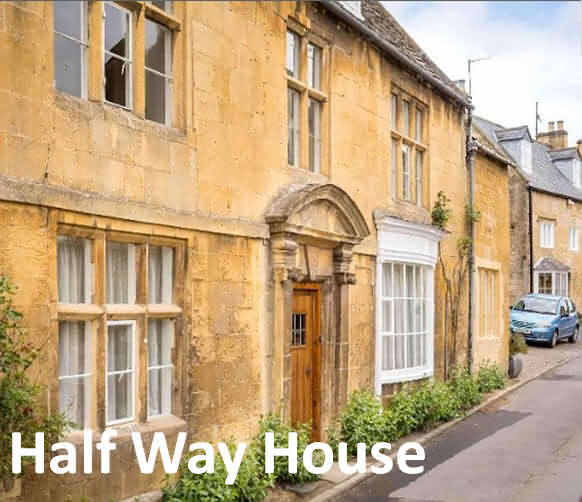 It’s the ideal base from which to explore and enjoy the tranquility, stunning scenery and market towns of the Cotswolds with fantastic walks that start right at the cottage’s front door. Ropewalk Cottage itself dates back to the 1880s, when it was occupied by silk mill workers during the heyday of Blockley’s textile industry. Recently renovated, this idyllic rural retreat comes complete with a wood-burning stove for whiling away your evenings in front of the fire with glass of wine in hand. The cottage sleeps up to 8 guests (with a maximum of 6 adults and 2 young children) in two doubles, one twin and a kid’s bedroom. The cottage also recently received an Oliver’s Travels recommendation award! 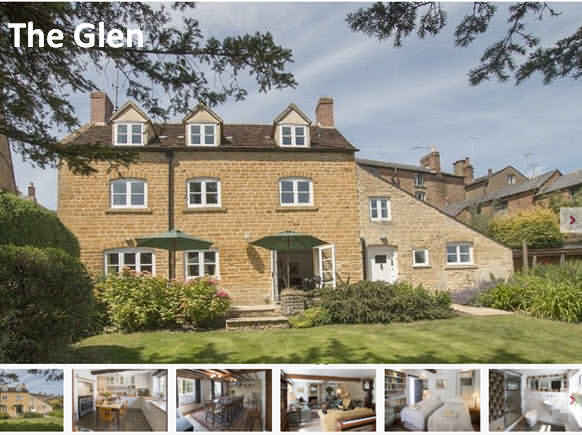 The Glen is a large, spacious family house dating from the early 1800s with exposed beams, Cotswold stone walls, and wooden floors. It has been renovated to a high modern standard and furnished with charming antiques. A feature of the property, is it's large enclosed garden with lawns, flower beds, herbs, garden furniture and barbecue. Three bedrooms, one family shower room, two en-suite shower rooms and one en-suite bathroom. Open fireplace in the sitting room. Large, enclosed garden with attractive herbaceous bedding. Off-street parking for one car with additional street parking nearby. Gas range cooker with a large electric oven and 5 burners, Belfast sink, large American style fridge, dishwasher, freezer and microwave. Second kitchen: electric cooker, fridge with freezer compartment, washing machine and tumble dryer. Sony 40" LCD television with Sky Free Sat and DVD player. Travel cot, highchair and stairgate are available on request. A patio area with bistro tables and chairs to seat eight. A barbecue is also available. There are great walks ( or just a stroll) from the door step. Blockley is one of the prettiest Cotswolds villages, being on a no-through road means that it's lovely and pieceful. NOTES: Please be aware that the garden is very steep, with an iron railing aside the steep, sometimes uneven steps, I would recommend that it's not suitable for young children or the elderly if they intend to use the outdoor dining space. Also a very minor note is that the seating in the living room seats approx 8 people (lovely sofas). And that 2 of the bedrooms do not have wardrobes, the twin in the attic does not have any drawers either. But ample space for everyone's clothes in the massive wardrobe in the the main bedroom! All in all a really gorgeous house, would definately go back.